How to Apply USA Immigration in 2016. The USA remains one of the world's most popular destinations for immigrants; however it can be difficult to know where to start as the process can be incredibly complex. If you want to know how to apply USA immigration in 2016, read on and find out all the facts in this helpful guide. In almost every case, anyone applying for immigration into the USA must be sponsored by an American citizen, a family member, employer or other permanent resident of the country. It is also important to know what type of immigrant visa to apply for as there are many different kinds. If you are applying to immigration as a family member of a US citizen or green card holder, the visa petition must be filed on your behalf by the citizen themselves. A family visa can only be granted to a spouse, parent, child or sibling of the lawful permanent resident. The process of visa application is begun by filing a form I-130, which is a Petition for Alien Relative. This must be submitted to USCIS (the US Citizenship and Immigration Services). If you are coming to the United States as an employee, you will usually already have been offered a position by an American employer. 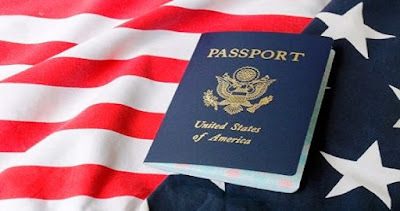 The employer must already be licensed to employ workers from abroad and must have already met the relevant conditions in order to offer the position to a foreign employee - usually the must have already advertised and attempted to fill the vacancy with an American citizen first. In cases like this, the employer must first submit an I-140 form to USCIS which is a Petition for Alien Worker on your behalf. There are also a few specialized fields in which foreign workers are allowed to be their own sponsor and to apply for immigration on their own behalf. There are also some other categories under which a person can apply for immigration to the USA. One is in the case where you are the fiance of a US citizen. If your marriage is due to take place in America within the next 6 months, your fiance can file a visa petition on your behalf. Should a child be adopted from another country, this is another immigration category, and the American parents will apply for an immigration visa for their adopted child. There is one further category, the Diversity Visa, which is only available to those coming from a country with a historically low rate of immigration to the country. The first step is the submission of the correct petition form. Once it has been received and approved it will move on to National Visa Center processing at which point you must choose an agent and pay the relevant fee. You will then send all supporting financial and other documentation to the NVC. Once this step has been completed you will attend an interview following which a decision will be taken as to whether or not to give you an immigrant visa. Unfortunately, the United States legal system limits the number of immigrants they will admit to the country every year; with limits not only on the total number of visas to be issued but also the number of people they will permit to enter America from each country. If there are more people applying for immigration than there are visas available, the visas will then be issued in chronological order, so the earlier in the year your application is submitted the better chance you have of receiving your visa.